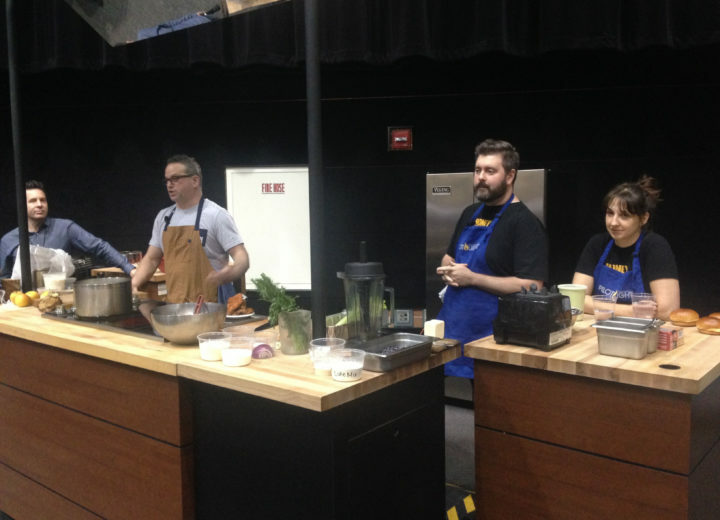 FamilyFarmed’s 15th Anniversary Good Food EXPO is coming up March 22-23 at Chicago’s UIC Forum. As always, the Good Food Marketplace — featuring 150+ of the Midwest’s best farm and food producers — is the heart of the EXPO. 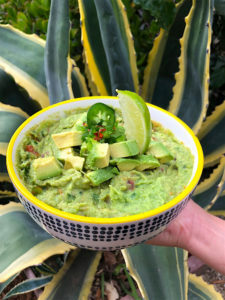 One of our new exhibitors is The Guiltless Garden, which mixes avocado with vegetables and beans to produce a guacamole that is lower in fat and calories, but higher in protein and fiber than guac made only with avocados. In the first of a series of Good Food News stories contributed by our EXPO exhibitors, The Guiltless Garden founders Cheryl Fitzgerald and Maria Dellanina (both registered dietitian nutritionists) describe how their commitment to healthier snacking spurred them to create the company. Tickets for the Friday, March 22 Good Food Trade Show can be purchased here. There will be a Networking Reception at the end of the Trade Show that will include Jason Hammel of Lula Cafe, our 2019 Good Food Chef of the Year; admission is included in the ticket for the full Trade Show, and Networking Reception-only tickets can be purchased here. The Good Food Festival on Saturday, March 23 is free, but pre-registration is requested here. Enjoy the story of The Guiltless Garden. As fast friends in a sports nutrition class, it was clear that Cheryl and I wanted to make an impact on our community through Good Food. During my studies in food and nutrition science at Dominican University in suburban Chicago, I worked as a lab assistant in an Experimental Foods class, which sparked my interest in the more unique side of dietetics. Cheryl and I noticed that many registered dietitians are providing nutrition education, information and therapy to the public, but are rarely involved in producing the food that is available to consumers. When it was our chance to take the Experimental Foods course, we found through research that there were two main problems we wanted to help solve: Americans aren’t eating enough vegetables, and Americans are often overeating. Our solution focused on guacamole, a generally accepted “green food” that people often eat by the bowlful. But not just any guacamole. “Guiltless Guac” became our first project. Each week, we tweaked a traditional guacamole recipe by adding in vegetables and beans and reducing the amount of avocado. 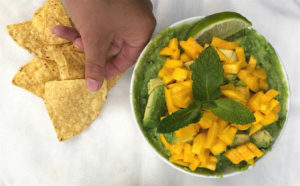 The end result is a guac that is delicious (in the opinion of consumers, not just us), contains less fat and fewer calories than all current brand based and store-made guacamoles, but has more protein and fiber while maintaining texture and flavor. For a half-cup serving size, the leading brand of guacamole contains 210 calories and 17.5g of fat. A half-cup of Guiltless Guac has 70 calories and 2.5g of fat. So The Guiltless Garden, our company, was born. 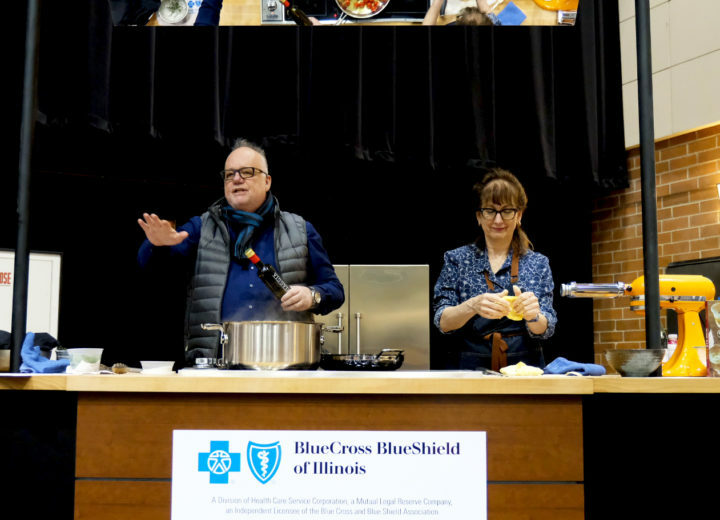 One thing that attracted us to FamilyFarmed and the Good Food EXPO is the organization’s commitment to the concept of Good Food is Good Medicine. The goal of The Guiltless Garden is to take food products that consumers already love, and add vegetables, beans or a combination of both to add variety, balance and more nutrients to the American diet. Avocado, the primary ingredient in most guacs, is the second ingredient in Guiltless Guac. The benefits of the healthy fat, for which avocados are known, are still received by the consumer — just not in excess. The focus of the company is on adding goodness into products, and a side effect is reduced calories for convenient snacking in realistic portion sizes. Because just as with beloved peanut butter, people are rarely consuming just two tablespoons of guacamole, which is the suggested serving size of these foods. Equally as important as health is taste — if it doesn’t taste great, consumers aren’t going to buy it — which is something we were not willing to compromise. Using The Flavor Bible book, we came up with unique combinations for our guacamole. Guiltless Guac now comes in six flavors: Traditional, Asian Sensation, Tropical Tango, Minty Mango, Smoked BBQ and BLT (Bacon Lime Tomato). We have had great success after our first summer selling our product at farmers markets and food festivals in the Chicagoland area, with the help of each of our siblings, parents and professors. Though not available on retail shelves yet, we hope to be in a few locations by summer 2019, beginning with our Traditional flavor. As founders and registered dietitians, we hope to encourage consumers to experiment with their food and cooking. Eating vegetables and beans are important, but they also need to taste good. We suggest finding what works for you and your family — and if it means “sneaking” veggies in sometimes, then so be it. Otherwise, try a new cooking method, or a new spice and herb blend, to make vegetables pop. Find your flavor, enjoy Good Food, and don’t stop experimenting until you do. For more information, go to www.theguiltlessgarden.com, or follow us @theguiltlessgarden. If you are interested in some nerdy-nutrition facts, we have also created an account providing nutrition and food science info @theguiltlessRDs. Don’t you want to sample some of The Guiltless Garden’s guacamole? 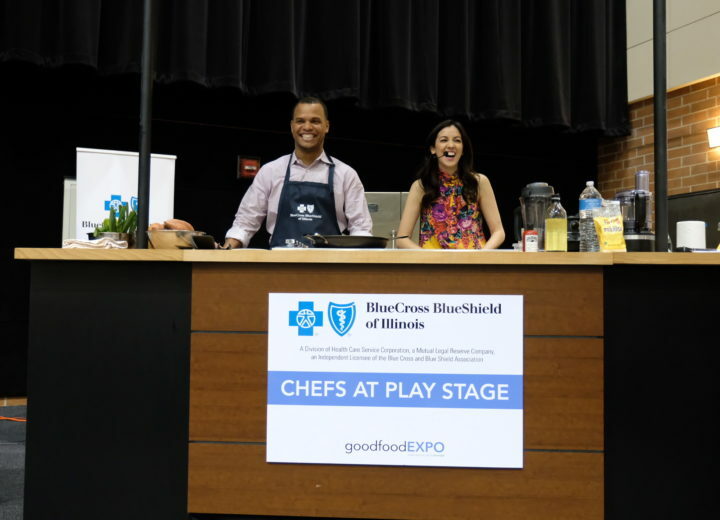 You can do so at the Good Food EXPO March 22-23 at Chicago’s UIC Forum. Buy tickets for the Friday, March 22 Trade Show or register for the free Saturday, March 23 Festival now.